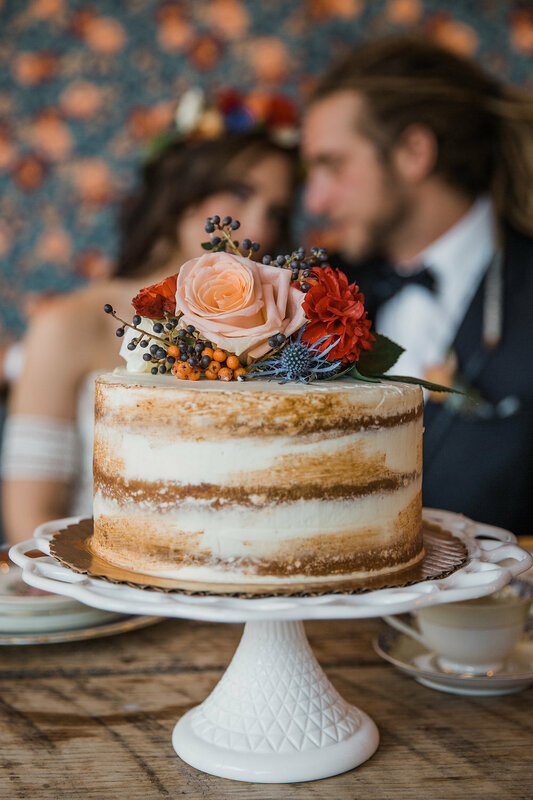 This elopement styled shoot was was created to inspire couples that have unique, colorful, vintage taste. 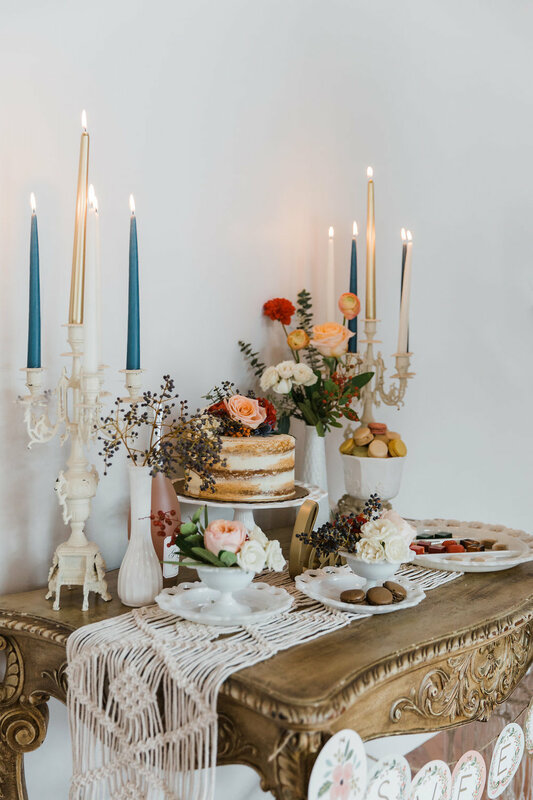 Several Chicago weddings vendors collaborated with Tina Skiver- the event planner, in order to bring this boho wedding look to life. 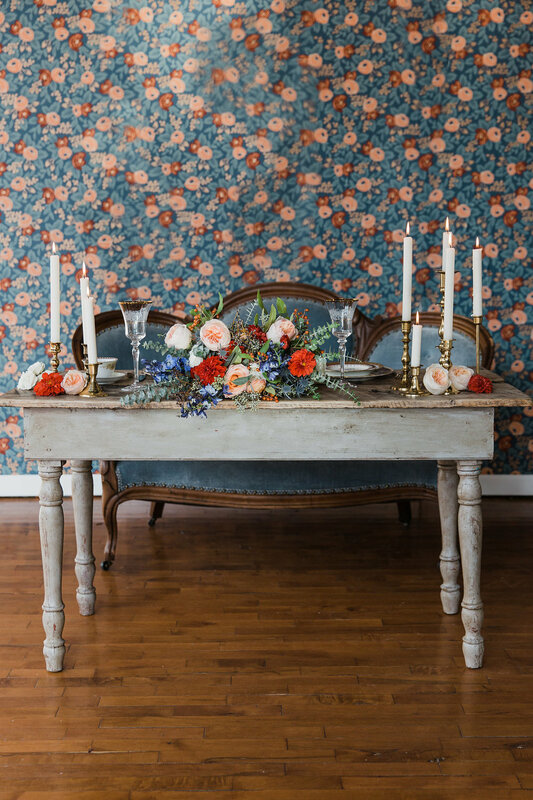 The flowers were chosen to echo the vibrant, vintage reds and blues of the Rifle Paper wallpaper behind the sweetheart table. The bride's crown and bouquet have bright pops of blue delphinium and bright red dahlias. 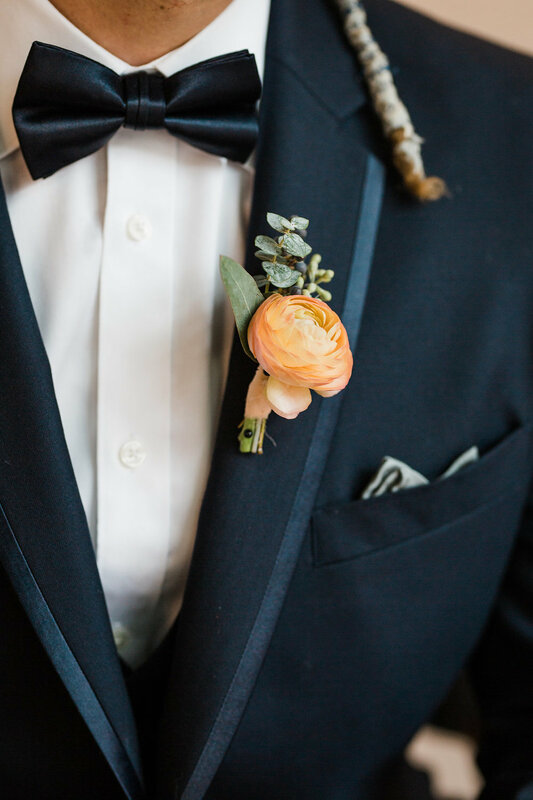 The more neutral tones in the ivory spray roses and peach ranunculus soften the look. 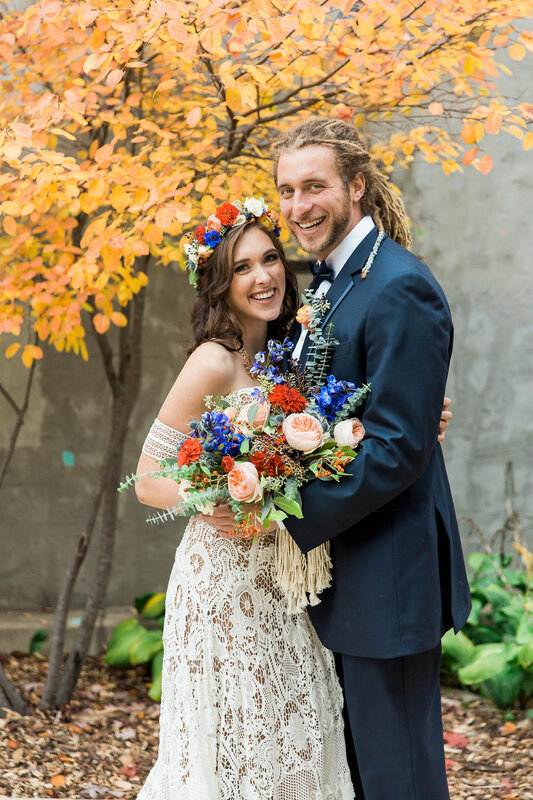 Paired with the macrame by Ket Mercantile, the bridal bouquet and ceremony arch have a vintage flare that is perfect for this couple. Dark blue privet berries and baby blue eucalyptus add texture and asymmetry, which captures the classic, yet edgy style that suits unique couples.